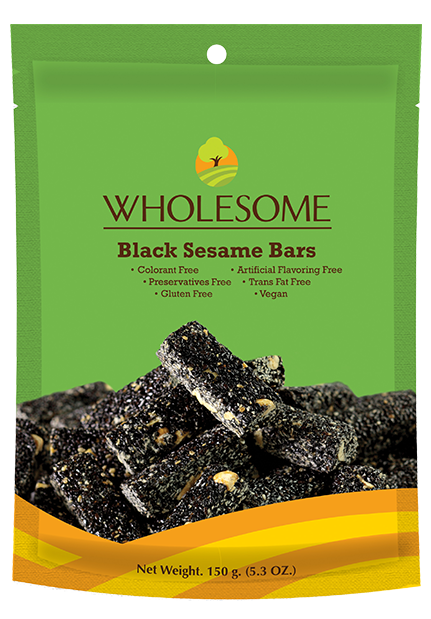 We mix cashew nut and black sesame altogether and bake them. 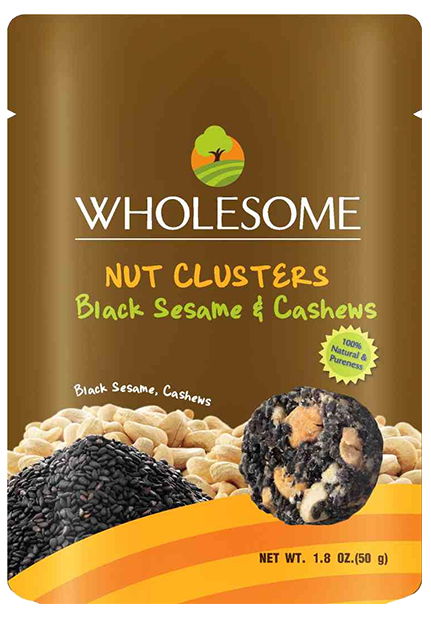 Nut Clusters is largely composed of cashews nut and black sesame. 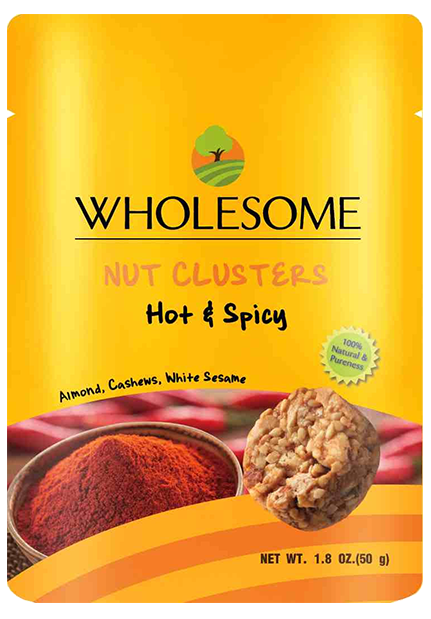 These main ingredients are just remarkable in serving anti-oxidant. Every bite you have is 0% cholesterol. 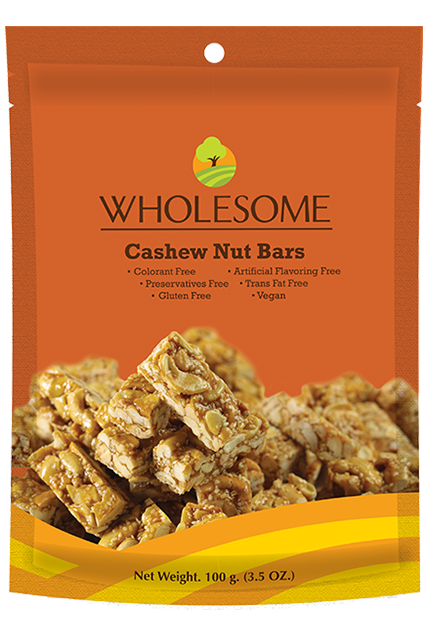 Deliciously enjoy it while gaining better healthiness. 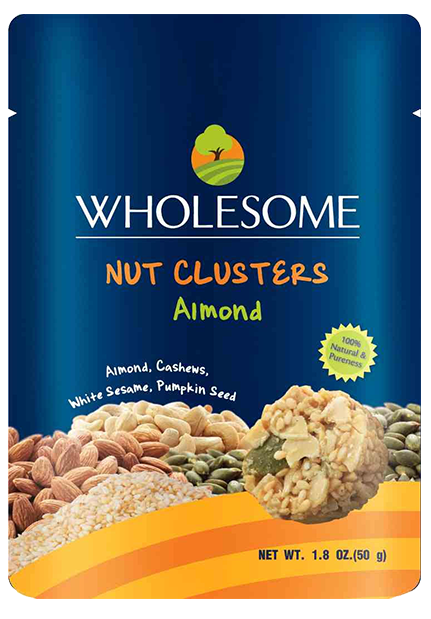 As tasty as it gets, Nut Clusters also has added benefit of calcium. No preservatives added. No additives added. 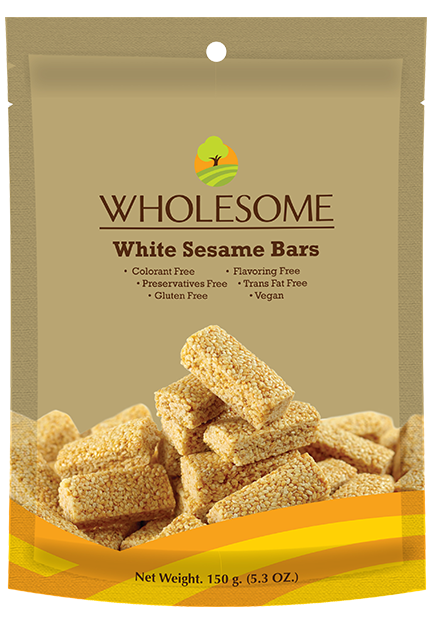 It is also Gluten-free and Dairy-free.